Luck of the Draw! 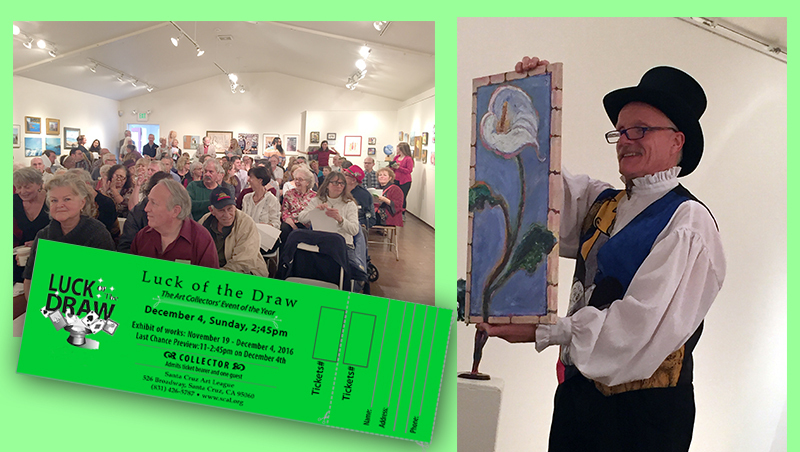 Every ticket is a winner and takes home a piece of art worth twice the ticket price! Buy one or more tickets to the event. One art piece is given for each ticket. Every ticket stub is drawn, Everyone wins! Good Luck! Your ticket(s) will available at the front desk the evening of the event. Would you like to donate your Art? We would really appreciate it!